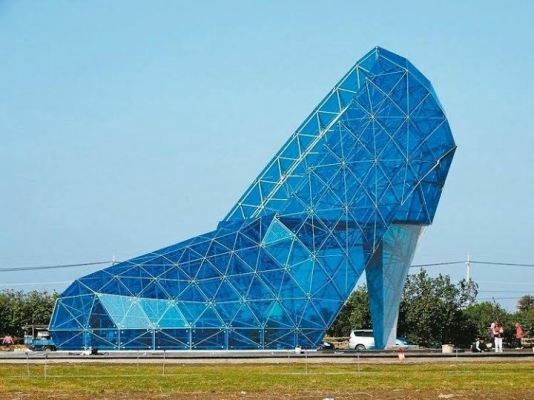 The fashionable church building is located in the Southwest Coast Scenic Area in Taiwan. 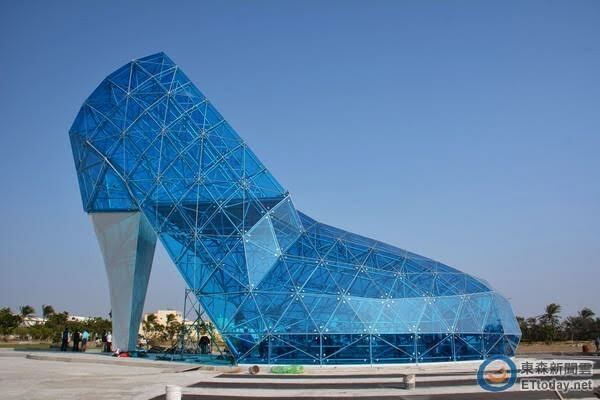 The huge high-heel shoe is 17m high and 11m wide, and made of 320 pieces of glass. 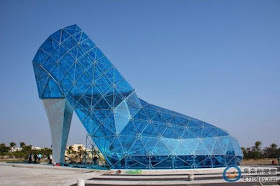 According to the administrative office of the building, this church might look very stylish but it also blends with tradition. 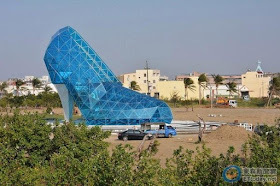 In tradition, the bride needs to wear high-heels to tread on tiles and then throw away the shattered pieces before stepping in the bridegroom’s family, which signifies the end to past misfortunes and the beginning of a better life. 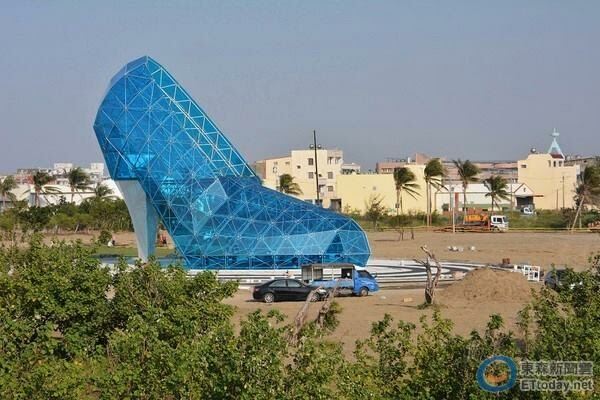 They decided to build a high-heel shoe-like church for couples to get married and take wedding photos. The church is expected to open in February of this year during the annual Spring Festival.